It was just last month that Elon Musk took to Twitter to unceremoniously announce that he was changing the name of the crew module and rocket booster of SpaceX’s BFR rocket program to “Starship” and “Super Heavy,” respectively. 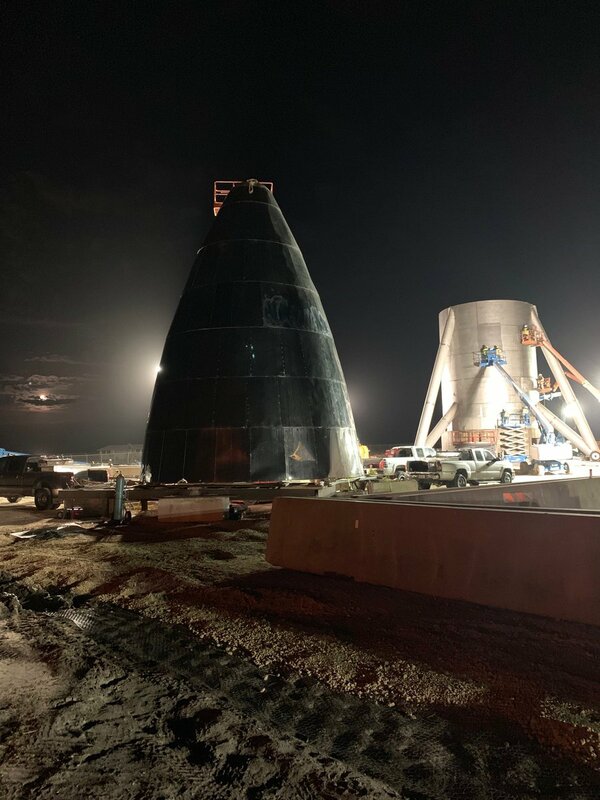 Now, in another spontaneous update from Musk via Twitter, we’re getting our first good look at the Starship section in all its stainless steel glory. In the early morning hours, Musk tweeted out an image of the top section of the spacecraft with the simple caption “Stainless Steel Starship,” before following up with a few additional details about the progress of the program. Additionally, Musk weighed in on the decision to switch from carbon material to stainless steel for the Starship. In a response on Twitter, Musk asserts that stainless steel was chosen because of its thermal properties and ability withstand high temperatures. SpaceX has been betting big on its new heavy-lifting spacecraft for some time now. Even before its name change, Musk was bullish on the idea that the BFR (which stood for “Big Falcon Rocket” or “Big F*cking Rocket” depending on when you asked Musk about it) will be the spacecraft that ultimately takes humans to Mars. More recently, Musk suggested that “later versions” of the platform will eventually visit other star systems, hence the “Starship” name. At the moment there’s no solid timeline of when the Starship might actually be ready to take passengers. The earliest suborbital “hops” are slated for early 2019, but those launches obviously won’t carry crew members. SpaceX is no stranger to delays, so we’ll have to see how the next year pans out for the Starship program and hope for the best.